There are subtle aspects about how we verbally interact with persons with disabilities that sometimes makes a great difference in their ability to respond. Some people will refuse any option or choice that was not their own idea. 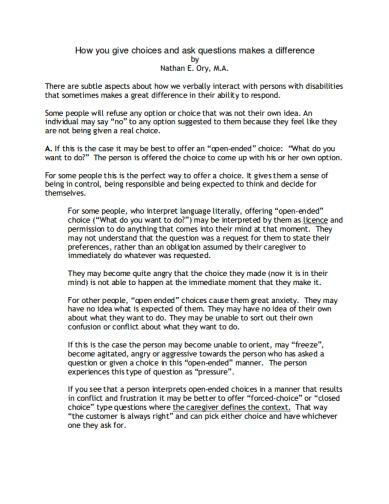 An individual may say "no" to any option suggested to them because they feel like they are not being given a real choice.